(18/P105) TRENTON – The Department of Environmental Protection today announced its spending plan and will begin evaluating projects to improve New Jersey’s air quality using the state’s allocation from the national Volkswagen settlement. The state has received $72.2 million as its share of federal actions against Volkswagen for installing devices that allowed vehicles it manufactured to emit pollutants without being detected by emissions-testing programs across the nation. The state’s Beneficiary Mitigation Plan will reduce pollution from the transportation sector, the largest contributor to pollutants that cause smog. The plan is consistent with Governor Phil Murphy’s agenda to reduce smog as well as greenhouse gas emissions, expand the use of electric vehicles, and advance environmental justice goals by expanding the use of electric public-transit buses, school buses and other zero-emission vehicles in those communities that disproportionately bear the burden of air pollution. To date, the DEP has received more than $400 million in project proposals covering all eligible project categories including freight trucks, school buses, transit buses, airport ground-support equipment, freight-switching locomotives, ferries, tugboats, cargo-handling equipment, ocean-going vessels and government vehicles. The DEP is evaluating applications according to selection and rating criteria in the spending plan and will continue to provide updates through its email list service and Volkswagen settlement website. Among the factors the DEP will consider when evaluating applications are the extent to which the project reduces smog-causing nitrogen oxides, the extent to which it benefits disproportionately impacted communities, the extent to which it serves as a model for best practices that can be applied in the state, and the extent to which it is “shovel-ready” and reduces greenhouse-gas emissions. The state is dedicating 15 percent of its allocation to fund electric-vehicle charging/fueling infrastructure, helping consumers to overcome “range anxiety” about finding convenient places to recharge electric vehicles. 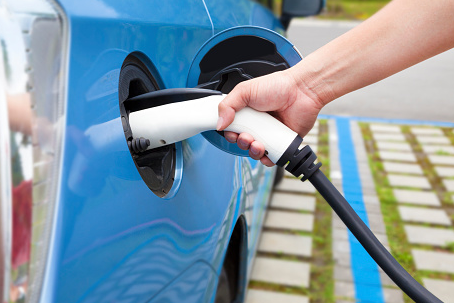 Promoting the sale of electric vehicles is a priority for the Murphy Administration. The DEP is reviewing applications for some 500 charging stations totaling $2.5 million in funding requests. The applications will be processed through the DEP’s It Pay$ to Plug In program, which has already awarded nearly $1 million in grants. This is paving the way for the state to meet its goal of 330,000 zero-emission vehicles registered in the state by 2025 under a memorandum of understanding among states in the Northeast that are working to promote their use. Additional applications may be submitted to the DEP’s Volkswagen settlement website. Eligible locations include workplaces, multi-unit dwellings such as apartments, and publicly accessible locations such as parking lots, hotels, transit centers, colleges and universities, retail parking areas and public parks. 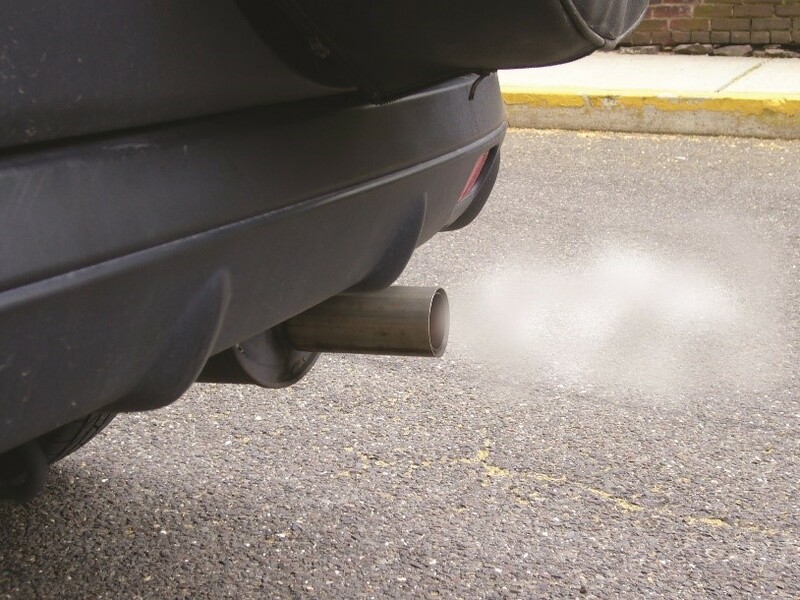 Emissions from the transportation sector account for 71 percent of the state’s nitrogen oxide emissions as well as 42 percent of the state’s greenhouse gas emissions. Nitrogen oxides are a major contributor to smog, which forms when pollutants interact with sunlight and hot temperatures during the warmer months to create ground-level ozone molecules. Ozone is beneficial in the upper atmosphere by shielding harmful rays from the sun but is a health hazard at ground level. By irritating tiny lung sacs known as alveoli, ozone particles increase asthma attacks in asthmatics and make people more vulnerable to lung diseases such as pneumonia and bronchitis. Long-term exposure can cause inflammation of the lungs, chest pain, coughing, wheezing, sneezing, pulmonary congestion and scarring of lung tissue. While ground-level ozone levels in New Jersey have been improving over the years, the state continues working to meet federal health-based standards for the pollutant. Meeting the standard is difficult because the state is heavily urbanized and is in the middle of one of the nation’s busiest transportation corridors. In addition, New Jersey is impacted by smog transported by prevailing winds from neighboring states. In September and November 2015, the U.S. Environmental Protection Agency and the California Air Resources Board alleged that Volkswagen had secretly installed defeat devices – software designed to cheat emissions testing and deceive federal and state regulators – in certain Volkswagen, Audi and Porsche-branded turbocharged direct-injection diesel vehicles. The defeat device rendered the vehicles’ emissions controls inoperable unless the vehicles were undergoing emissions testing. The use of the defeat devices resulted in increased emissions of oxides of nitrogen in New Jersey and throughout the nation. On Oct. 25, 2016, and May 17, 2017, two partial consent decrees were approved among the federal government, California, and Volkswagen to, among other things, offset excess nitrogen oxide emissions. The partial consent decrees established a $2.93 billion environmental mitigation trust to provide funds to all 50 states, the District of Columbia, Puerto Rico and federally recognized tribes and to implement actions to counter the air quality impacts of excess nitrogen oxide emissions resulting from the use of the defeat devices. The trustee for the mitigation trust approved New Jersey’s beneficiary status on Jan. 29, 2018. The DEP is designated as the lead agency to administer the funds. The allocation to New Jersey is $72.2 million, based on the estimated 17,000 registered vehicles in the state that were equipped with these defeat devices.